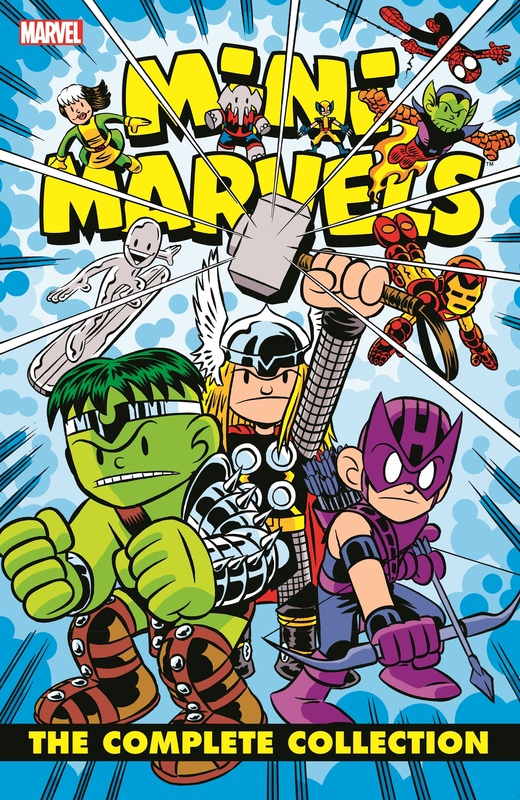 All-ages fun featuring the wild and crazy kid counterparts to Marvel's greatest heroes! 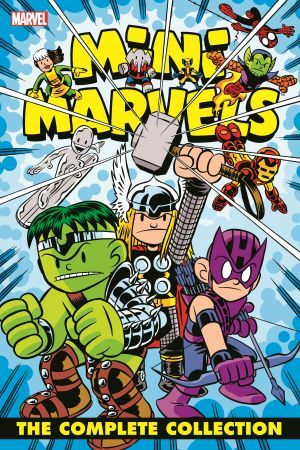 All of your favorite hilarious, action-packed Mini Marvels adventures collected in one complete volume! Spidey gets the paperboy blues, Wolverine goes on a cereal quest, Hulk goes on a date, and the Fantastic Four are impersonated by alien Skrulls! Iceman and Firestar help Spidey deliver his newspapers while he babysits Power Pack! Thor returns, Iron Man builds armor for the Avengers, and Hawkeye squares off against Galactus! And where did Red Hulk and Blue Hulk come from anyway? Plus, Hawkeye battles the Curse of the Crimson Crown...and who is Elephant Steve?! 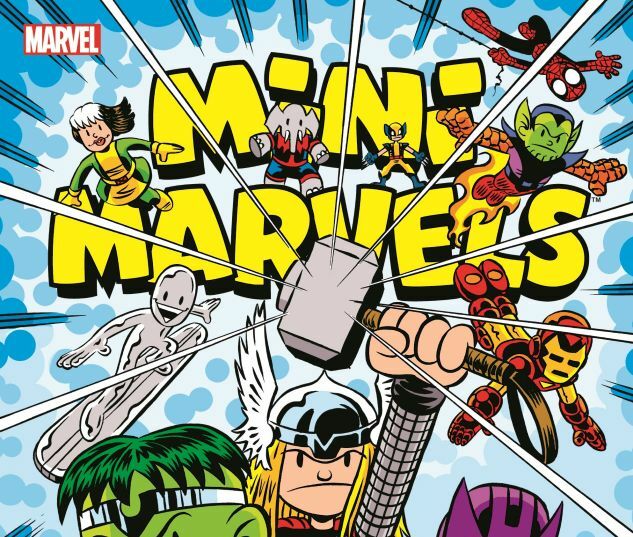 Plus: a complete run of Mini Marvels classic comic strips!